common portal from the database maintained by the Central Board of Direct Taxes. (c) The e-mail address declared under sub-rule (1) shall be verified through a separate one-time password sent to the said e-mail address. (3) On successful verification of the Permanent Account Number, mobile number and email address, a temporary reference number shall be generated and communicated to the applicant on the said mobile number and e-mail address. (4) Using the reference number generated under sub-rule (3), the applicant shall electronically submit an application in Part B of FORM GST REG-01, duly signed or verified through electronic verification code, along with the documents specified in the said Form at the common portal, either directly or through a Facilitation Centre notified by the Commissioner. (5) On receipt of an application under sub-rule (4), an acknowledgement shall be issued electronically to the applicant in FORM GST REG-02. (6) A person applying for registration as a casual taxable person shall be given a temporary reference number by the common portal for making advance deposit of tax in accordance with the provisions of section 27 and the acknowledgement under sub-rule (5) shall be issued electronically only after the said deposit. (1) The application shall be forwarded to the proper officer who shall examine the application and the accompanying documents and if the same are found to be in order, approve the grant of registration to the applicant within a period of three working days from the date of submission of the application. (2) Where the application submitted under rule 8 is found to be deficient, either in terms of any information or any document required to be furnished under the said rule, or where the proper officer requires any clarification with regard to any information provided in the application or documents furnished therewith, he may issue a notice to the applicant electronically in FORM GST REG-03 within a period of three working days from the date of submission of the application and the applicant shall furnish such clarification, information or documents electronically, in FORM GST REG-04, within a period of seven working days from the date of the receipt of such notice. 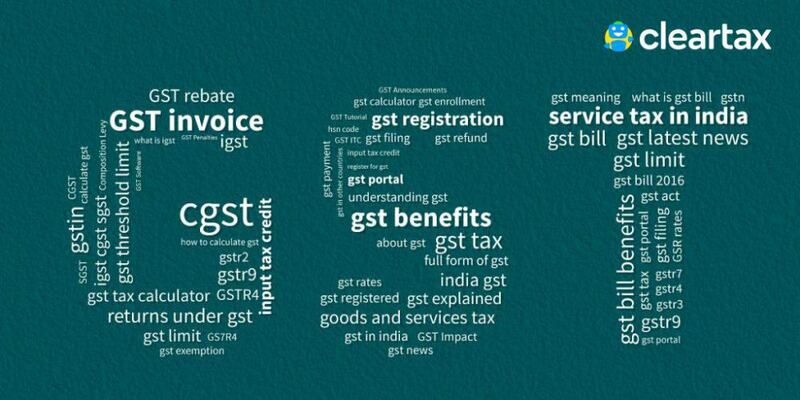 Explanation.- For the purposes of this sub-rule, the expression “clarification” includes modification or correction of particulars declared in the application for registration, other than Permanent Account Number, State, mobile number and e-mail address declared in Part A of FORM GST REG-01. inform the applicant electronically in FORM GST REG-05. (5) If the proper officer fails to take any action, – (a) within a period of three working days from the date of submission of the application; or (b) within a period of seven working days from the date of the receipt of the clarification, information or documents furnished by the applicant under sub-rule (2), the application for grant of registration shall be deemed to have been approved. (2) The registration shall be effective from the date on which the person becomes liable to registration where the application for registration has been submitted within a period of thirty days from such date. (3) Where an application for registration has been submitted by the applicant after the expiry of thirty days from the date of his becoming liable to registration, the effective date of registration shall be the date of the grant of registration under sub-rule (1) or sub-rule (3) or sub-rule (5) of rule 9.
electronic verification code by the proper officer under the Act. specified in sub-rule (5) of rule 9. (c) all separately registered business verticals of such person shall pay tax under the Act on supply of goods or services or both made to another registered business vertical of such person and issue a tax invoice for such supply. Explanation: For the purposes of clause (b), it is hereby clarified that where any business vertical of a registered person that has been granted a separate registration becomes ineligible to pay tax under section 10, all other business verticals of the said person shall become ineligible to pay tax under the said section. business verticals may submit a separate application in FORM GST REG-01 in respect of each such vertical. (3) The provisions of rule 9 and rule 10 relating to the verification and the grant of registration shall, mutatis mutandis, apply to an application submitted under this rule. (1) Any person required to deduct tax in accordance with the provisions of section 51 or a person required to collect tax at source in accordance with the provisions of section 52 shall electronically submit an application, duly signed or verified through electronic verification code, in FORM GST REG-07 for the grant of registration through the common portal, either directly or through a Facilitation Centre notified by the Commissioner. (2) The proper officer may grant registration after due verification and issue a certificate of registration in FORM GST REG-06 within a period of three working days from the date of submission of the application. Provided that the proper officer shall follow the procedure as provided in rule 22 for the cancellation of registration. the entity is identified by the Government of that country or its Permanent Account Number, if available. shall be given a temporary reference number by the common portal for making an advance deposit of tax in accordance with the provisions of section 27 and the acknowledgement under sub-rule (5) of rule 8 shall be issued electronically only after the said deposit in his electronic cash ledger. may be notified by the Central Government on the recommendations of the Council. (1) Where a registered casual taxable person or a non-resident taxable person intends to extend the period of registration indicated in his application of registration, an application in FORM GST REG-11 shall be submitted electronically through the common portal, either directly or through a Facilitation Centre notified by the Commissioner, by such person before the end of the validity of registration granted to him. (2) The application under sub-rule (1) shall be acknowledged only on payment of the amount specified in sub-section (2) of section 27. (1) Where, pursuant to any survey, enquiry, inspection, search or any other proceedings under the Act, the proper officer finds that a person liable to registration under the Act has failed to apply for such registration, such officer may register the said person on a temporary basis and issue an order in FORM GST REG- 12. (2) The registration granted under sub-rule (1) shall be effective from the date of such order granting registration. (4) The provisions of rule 9 and rule 10 relating to verification and the issue of the certificate of registration shall, mutatis mutandis, apply to an application submitted under sub-rule (3). (5) The Goods and Services Tax Identification Number assigned, pursuant to the verification under sub-rule (4), shall be effective from the date of the order granting registration under sub-rule (1). (2) The proper officer may, upon submission of an application in FORM GST REG-13 or after filling up the said form, assign a Unique Identity Number to the said person and issue a certificate in FORM GST REG-06 within a period of three working days from the date of the submission of the application. additional place or places of business. (2) Every registered person shall display his Goods and Services Tax Identification Number on the name board exhibited at the entry of his principal place of business and at every additional place or places of business. through the common portal in the manner provided under sub-rule (2) of rule 8. REG-14, serve a notice in FORM GST REG-03, requiring the registered person to show cause, within a period of seven working days of the service of the said notice, as to why the application submitted under sub-rule (1) shall not be rejected. (3) The registered person shall furnish a reply to the notice to show cause, issued under sub-rule (2), in FORM GST REG-04, within a period of seven working days from the date of the service of the said notice. and pass an order in FORM GST REG -05.
the certificate of registration shall stand amended to the extent applied for and the amended certificate shall be made available to the registered person on the common portal. Provided that no application for the cancellation of registration shall be considered in case of a taxable person, who has registered voluntarily, before the expiry of a period of one year from the effective date of registration. 21. (c) violates the provisions of section 171 of the Act or the rules made the reunder. (1) Where the proper officer has reasons to believe that the registration of a person is liable to be cancelled under section 29, he shall issue a notice to such person in FORM GST REG-17, requiring him to show cause, within a period of seven working days from the date of the service of such notice, as to why his registration shall not be cancelled. as if the application had been submitted by the proprietor himself. Provided that no application for revocation shall be filed, if the registration has been cancelled for the failure of the registered person to furnish returns, unless such returns are furnished and any amount due as tax, in terms of such returns, has been paid along with any amount payable towards interest, penalty and late fee in respect of the said returns. (2) (a) Where the proper officer is satisfied, for reasons to be recorded in writing, that there are sufficient grounds for revocation of cancellation of registration, he shall revoke the cancellation of registration by an order in FORM GST REG-22 within a period of thirty days from the date of the receipt of the application and communicate the same to the applicant. (b) The proper officer may, for reasons to be recorded in writing, under circumstances other than those specified in clause (a), by an order in FORM GST REG05, reject the application for revocation of cancellation of registration and communicate the same to the applicant. (3) The proper officer shall, before passing the order referred to in clause (b) of sub-rule (2), issue a notice in FORM GST REG–23 requiring the applicant to show cause as to why the application submitted for revocation under sub-rule (1) should not be rejected and the applicant shall furnish the reply within a period of seven working days from the date of the service of the notice in FORM GST REG-24. (4) Upon receipt of the information or clarification in FORM GST REG-24, the proper officer shall proceed to dispose of the application in the manner specified in sub-rule (2) within a period of thirty days from the date of the receipt of such information or clarification from the applicant. (1) (a) Every person, other than a person deducting tax at source or an Input Service Distributor, registered under an existing law and having a Permanent Account Number issued under the provisions of the Income-tax Act, 1961 (Act 43 of 1961) shall enrol on the common portal by validating his e-mail address and mobile number, either directly or through a Facilitation Centre notified by the Commissioner. REG–26, duly signed or verified through electronic verification code, along with the information and documents specified in the said application, on the common portal either directly or through a Facilitation Centre notified by the Commissioner. period of three months or within such further period as may be extended by the Commissioner in this behalf. (c) If the information and the particulars furnished in the application are found, by the proper officer, to be correct and complete, a certificate of registration in FORM GST REG-06 shall be made available to the registered person electronically on the common portal. (3A) Where a certificate of registration has not been made available to the applicant on the common portal within a period of fifteen days from the date of the furnishing of information and particulars referred to in clause (c) of sub-rule (2) and no notice has been issued under sub-rule (3) within the said period, the registration shall be deemed to have been granted and the said certificate of registration, duly signed or verified through electronic verification code, shall be made available to the registered person on the common portal. Provided that the show cause notice issued in FORM GST REG- 27 can be withdrawn by issuing an order in FORM GST REG- 20, if it is found, after affording the person an opportunity of being heard, that no such cause exists for which the notice was issued. (4) Every person registered under any of the existing laws, who is not liable to be registered under the Act may, within a period of thirty days from the appointed day, at his option, submit an application electronically in FORM GST REG-29 at the common portal for the cancellation of registration granted to him and the proper officer shall, after conducting such enquiry as deemed fit, cancel the said registration. along with the other documents, including photographs, shall be uploaded in FORM GST REG-30 on the common portal within a period of fifteen working days following the date of such verification. Companies Act, 2013 (18 of 2013) shall furnish the documents or application verified through digital signature certificate. (3) All notices, certificates and orders under the provisions of this Chapter shall be issued electronically by the proper officer or any other officer authorised to issue such notices or certificates or orders, through digital signature certificate or through E-signature as specified under the provisions of the Information Technology Act, 2000 (21 of 2000) or verified by by any other mode of signature or verification as notified by the Board in this behalf..
How to become a Certified GST Practitioner ?